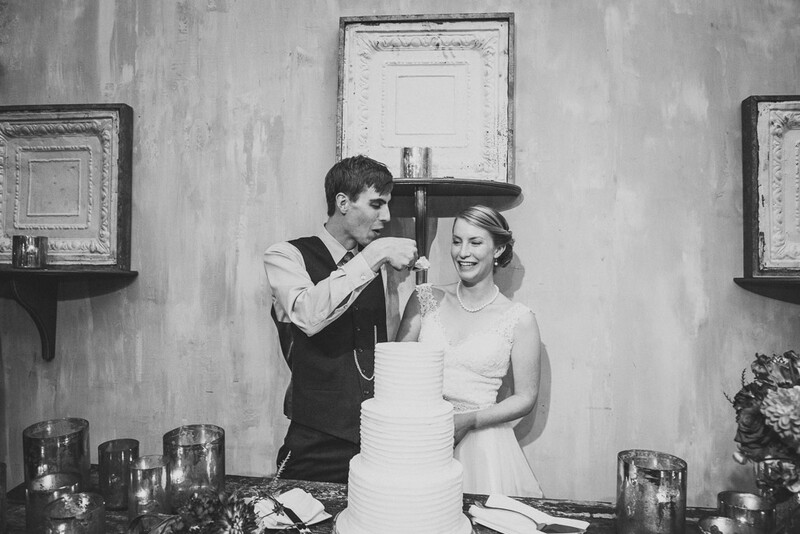 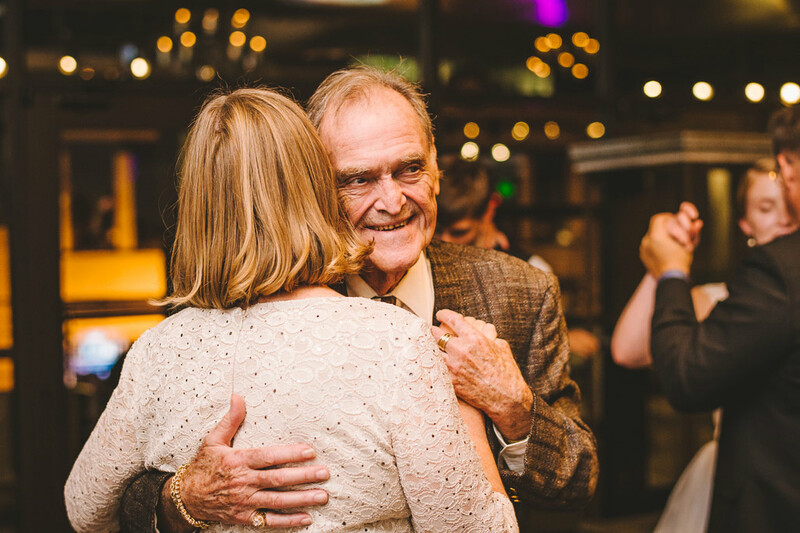 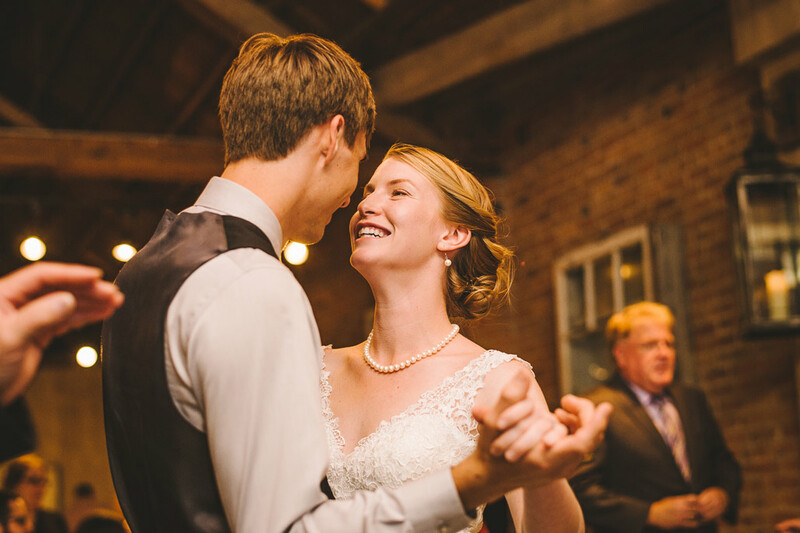 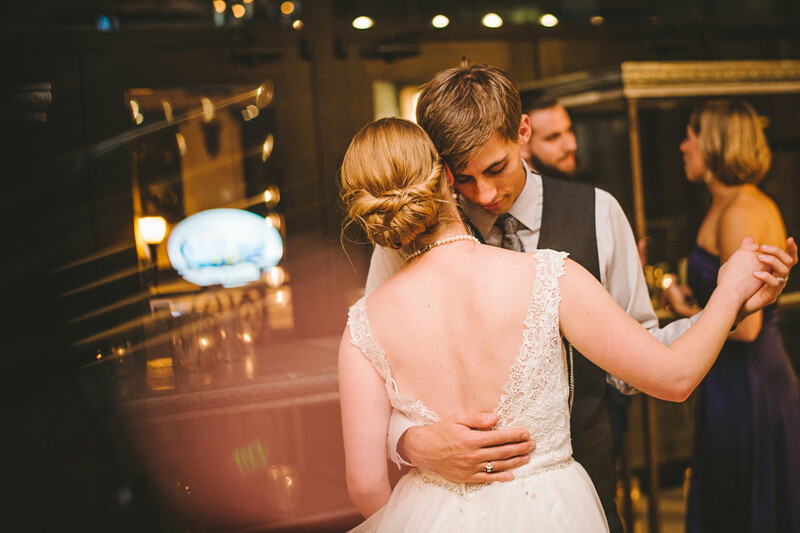 There was no shortage of sweet moments and portraits to photograph at Megan and Ben’s wedding. 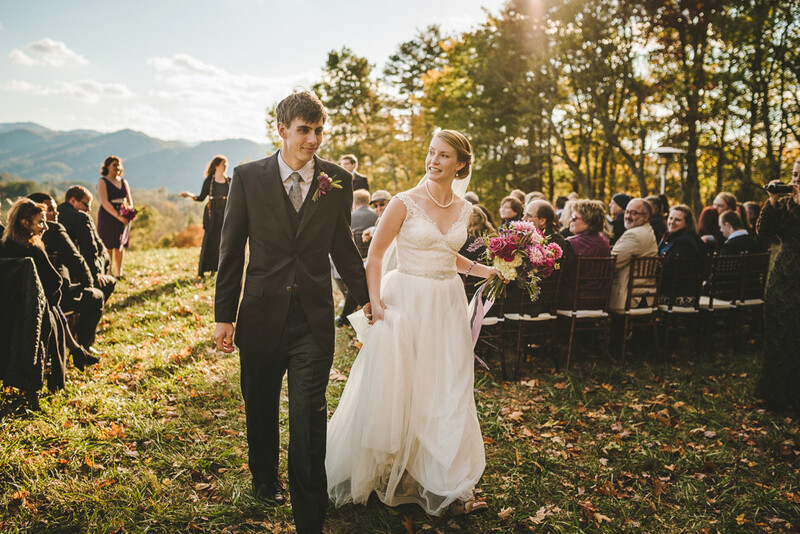 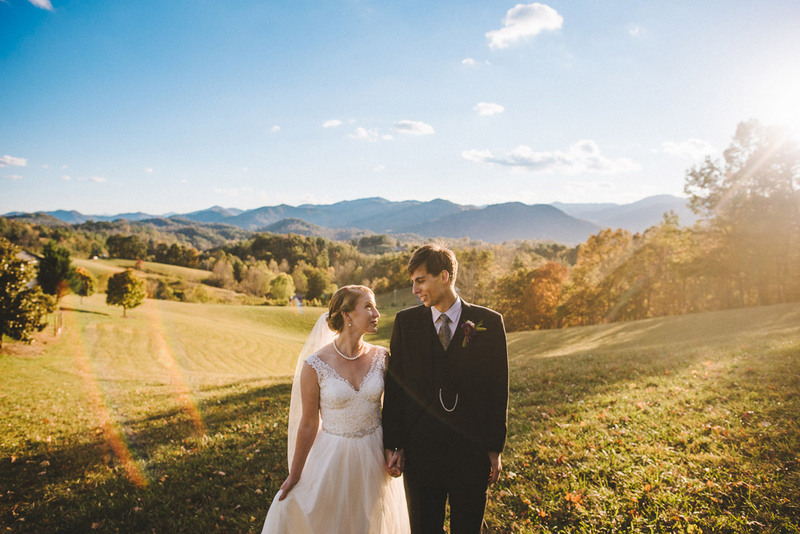 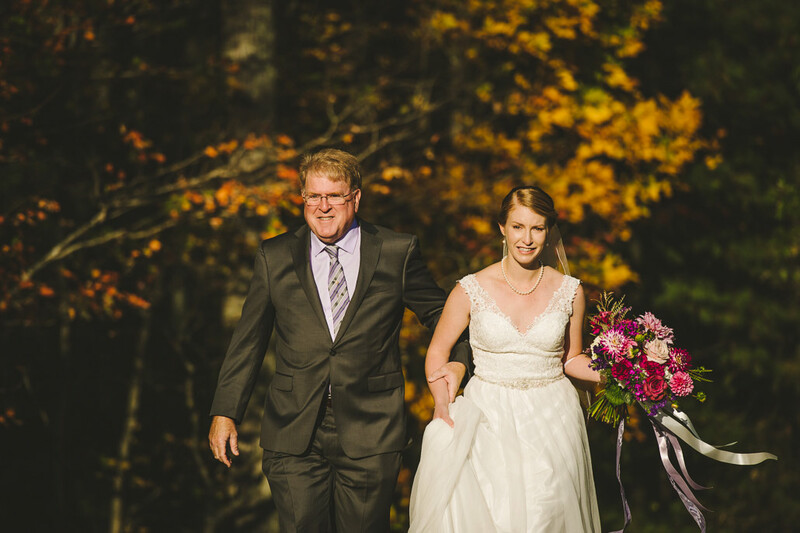 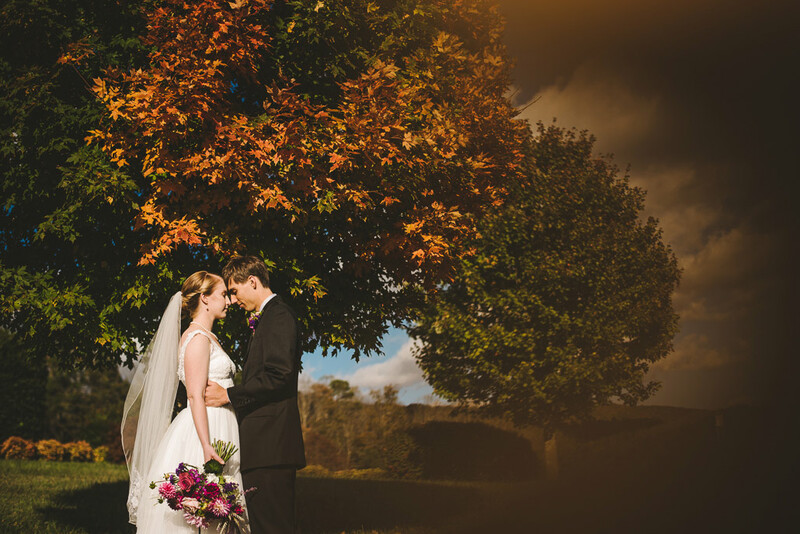 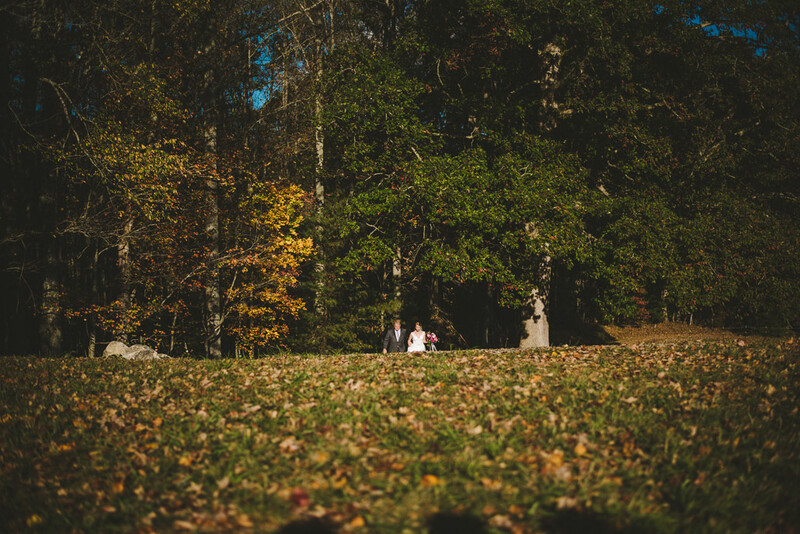 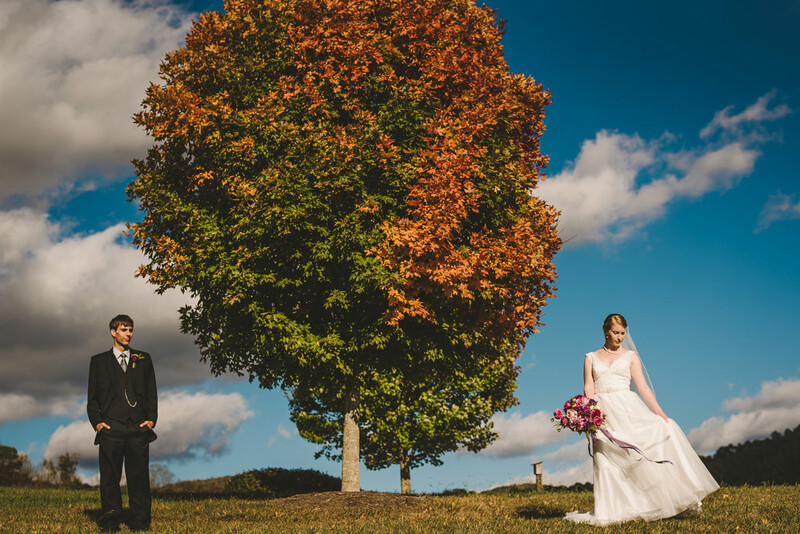 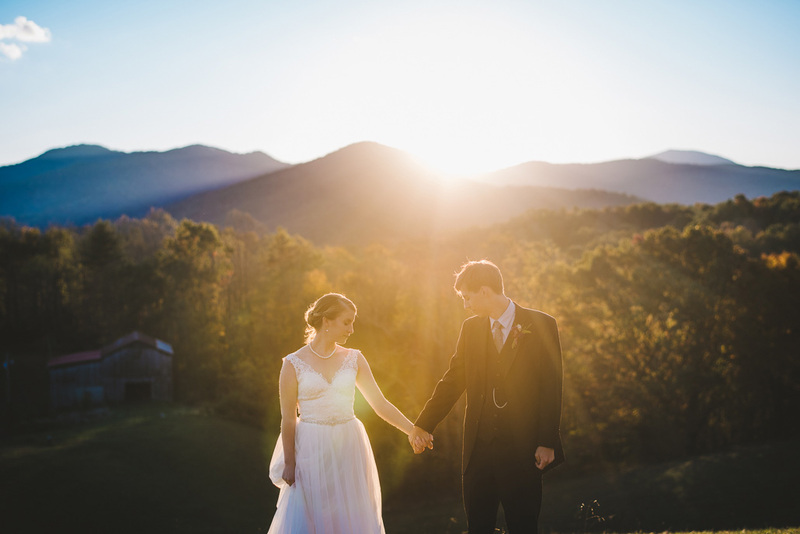 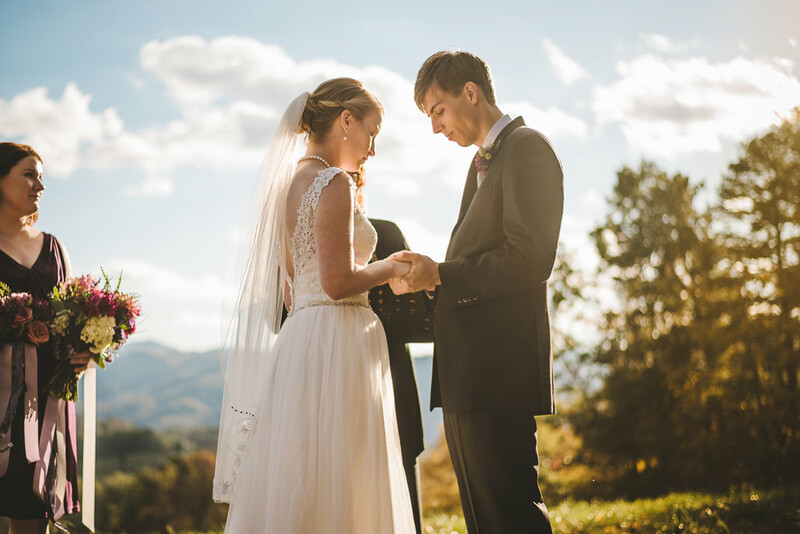 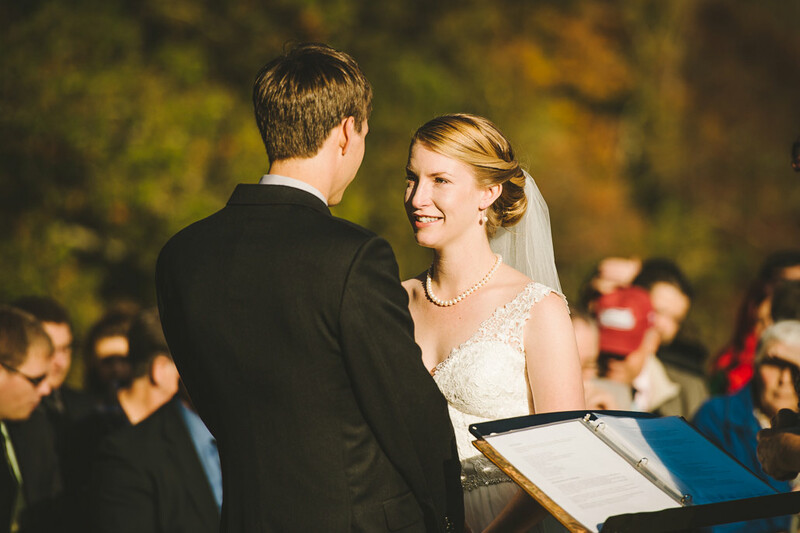 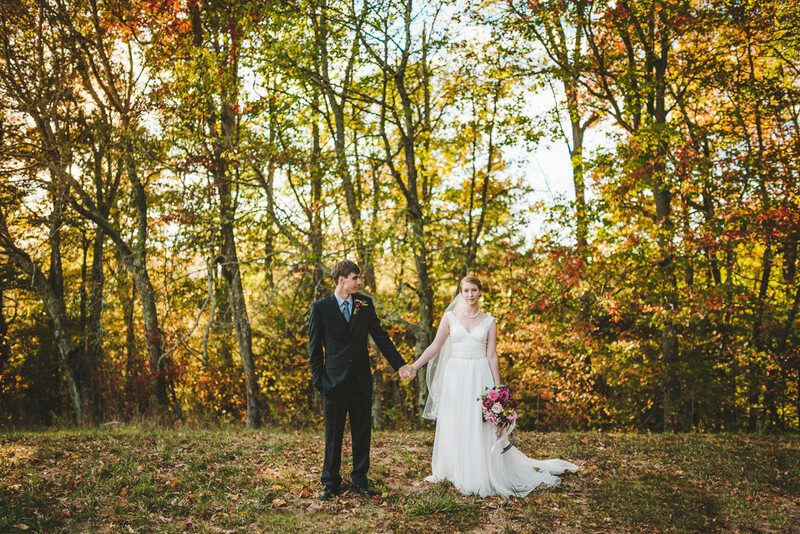 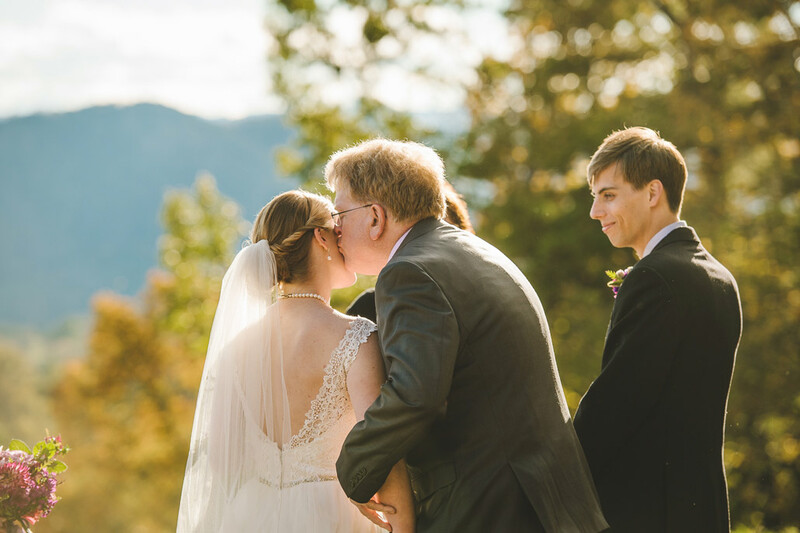 These two got married on a crisp autumn day at The Ridge Asheville. 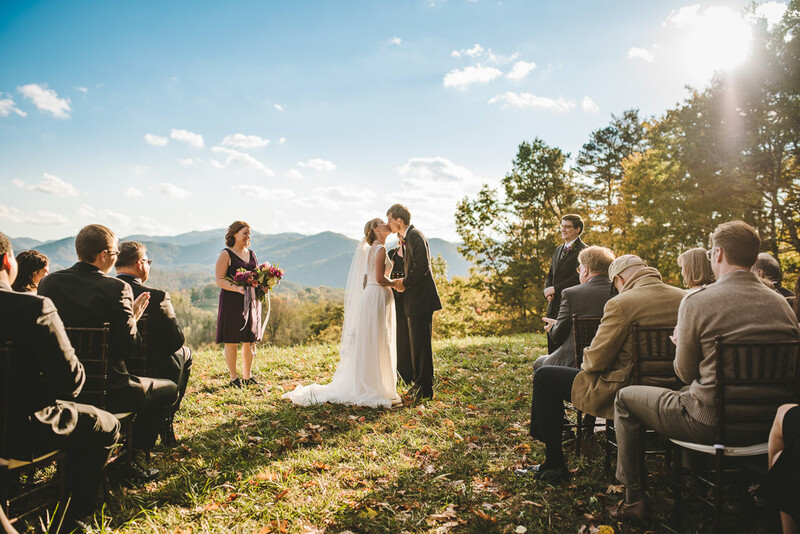 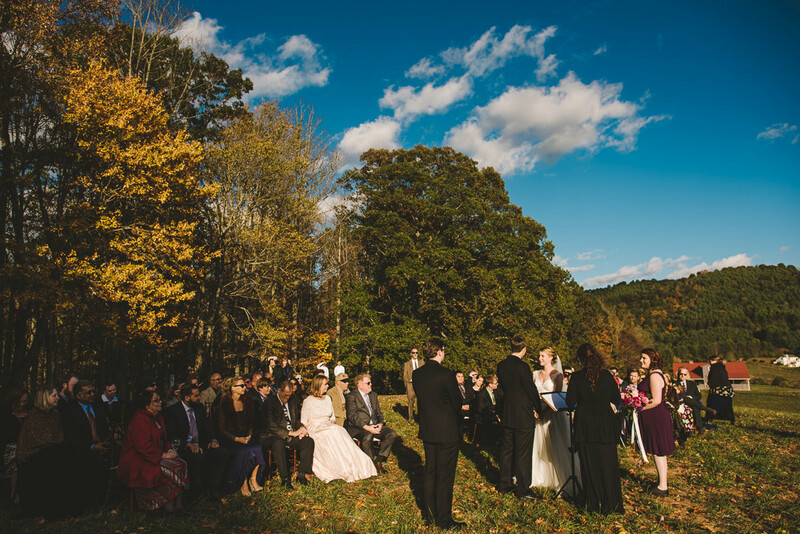 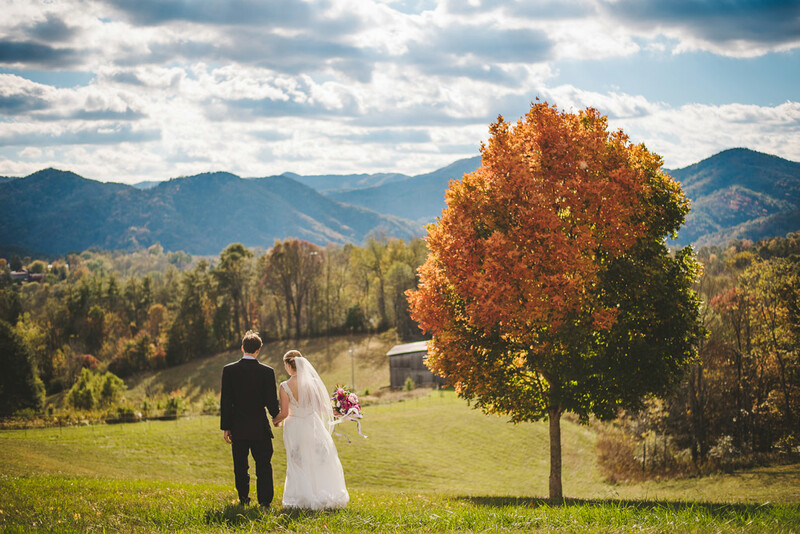 The Ridge is a breathtaking outdoor venue north of Asheville in Marshall, NC. 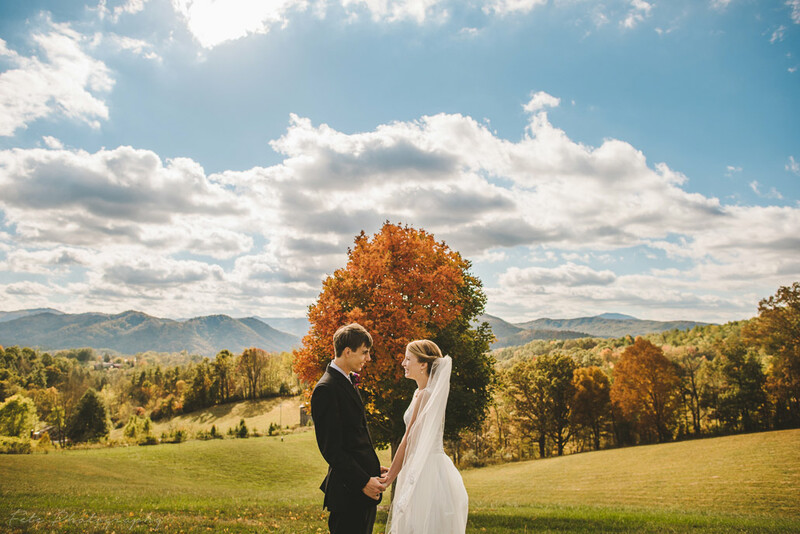 As if mountain views weren’t enough, we also had fall foliage and an adorable couple to work with. 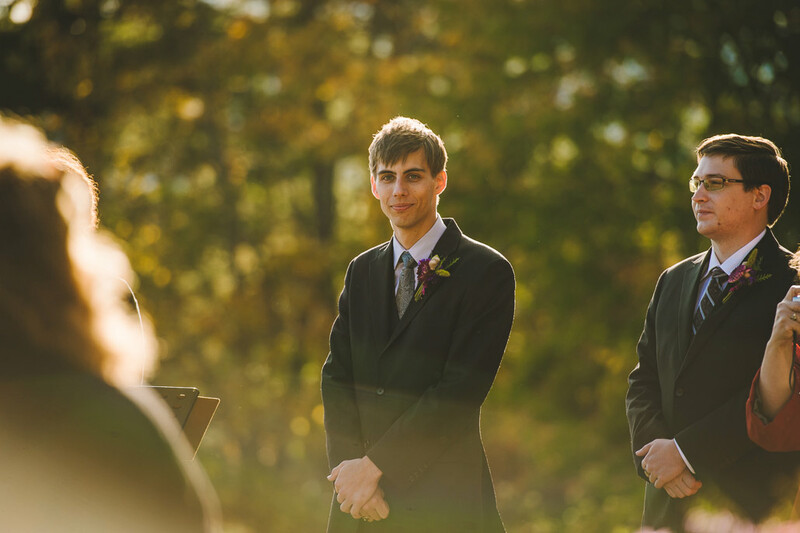 Win win win. 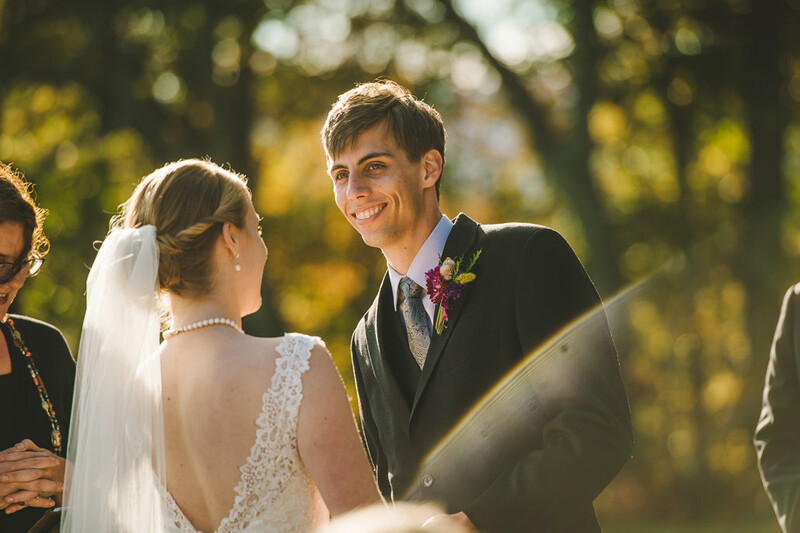 We enjoy a nice balance of portraits and candid moments (photojournalistic) in our wedding photography. 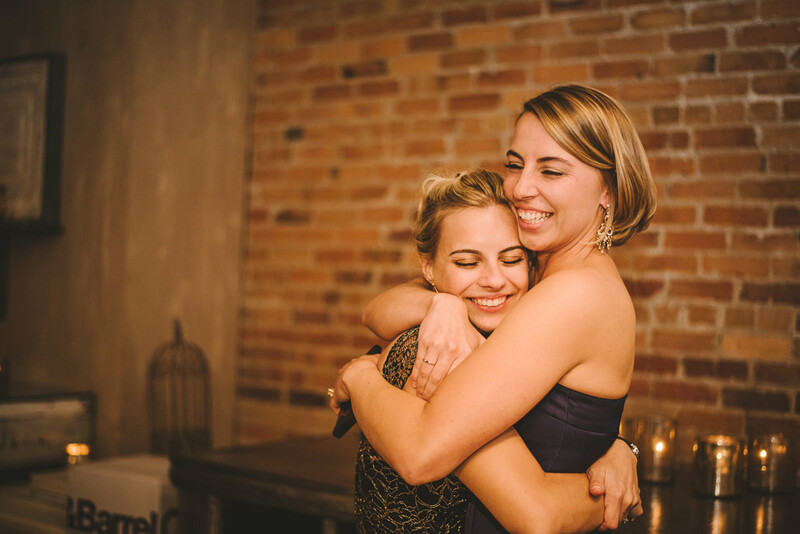 Even with portraits we want you to be relaxed and “in the moment”. 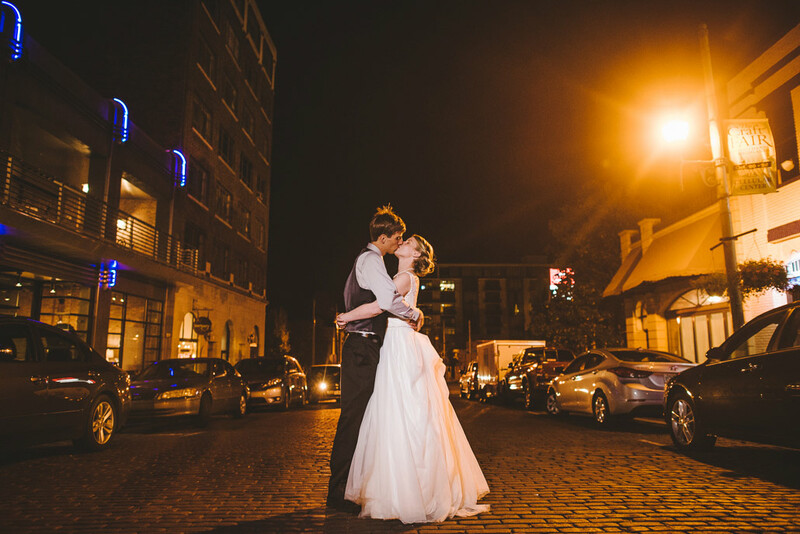 Our goal is for your creative portraits to be natural and bring out your personalities. 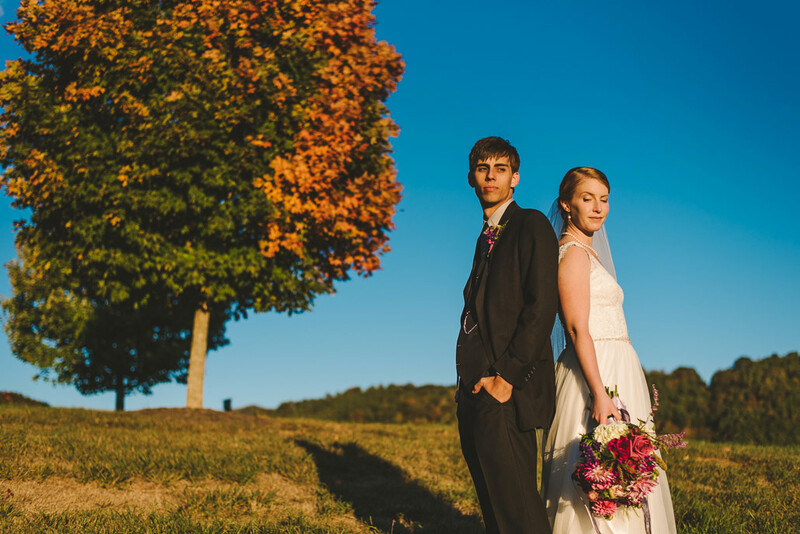 In the end the moment shots and portrait shots should complement each other as they tell the narrative of the wedding. 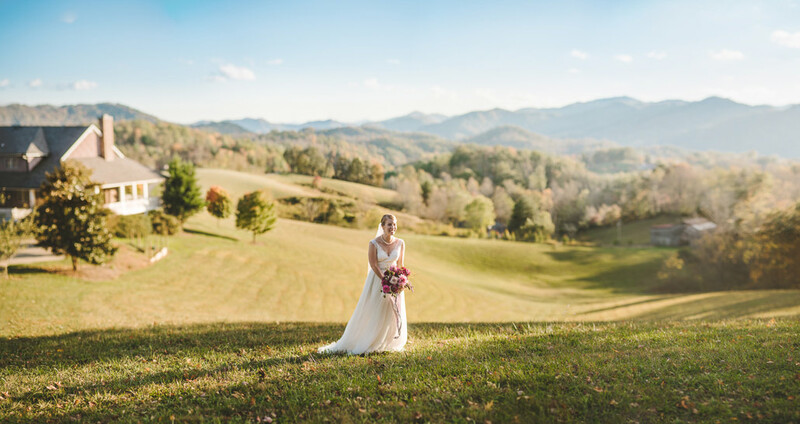 If you only want candid shots for your wedding day we still suggest setting aside at least 15 minutes of portraits with just the two of you. 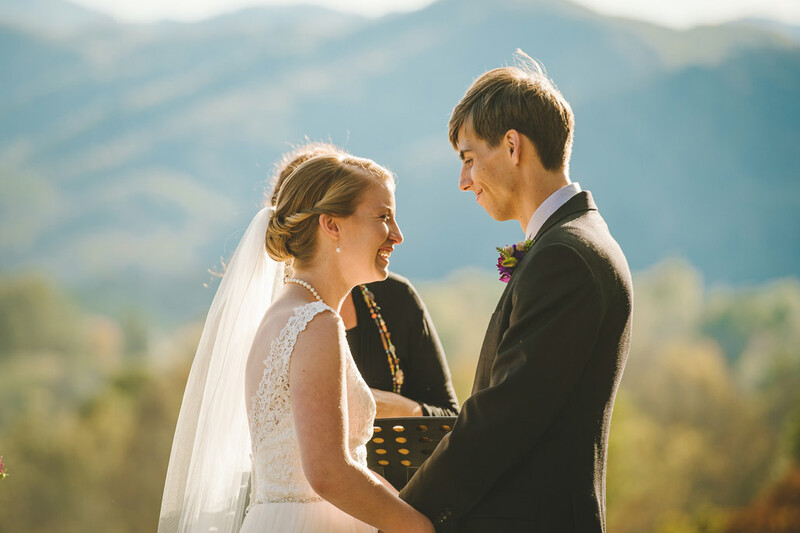 Don’t think of portraits as something you have to do, but rather time you get to spend with each other being completely in love/silly/happy while we document it. 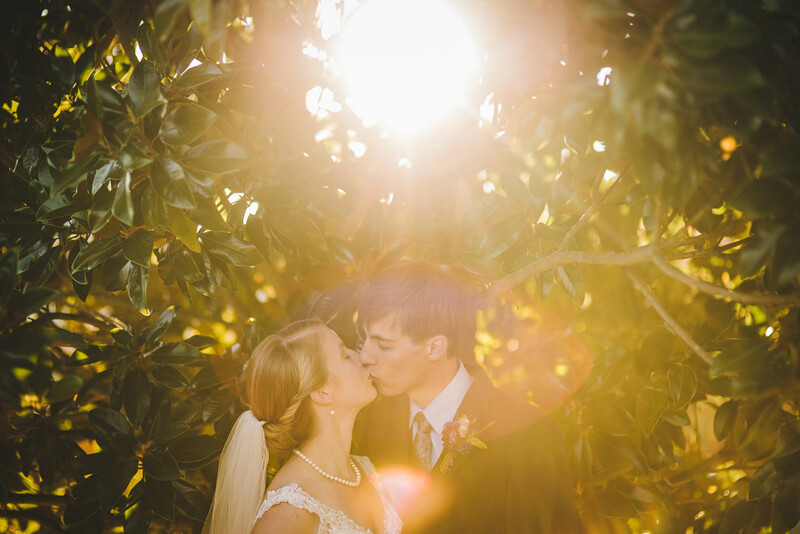 We hope you enjoy this beautiful wedding! 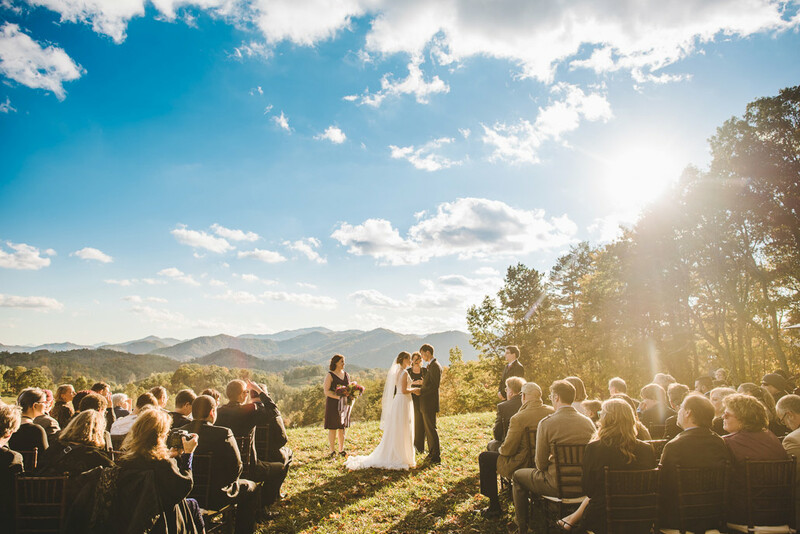 Be sure to check out The Ridge Asheville if you’re getting married in WNC. 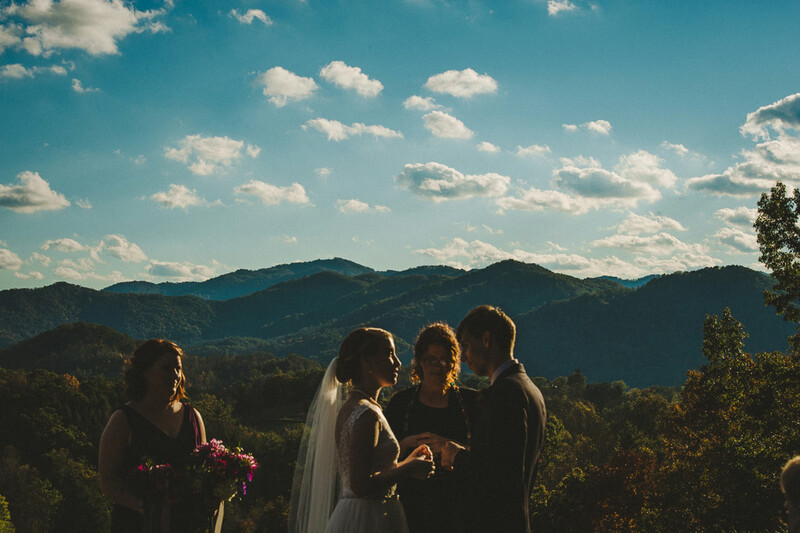 It’s seriously gorgeous! 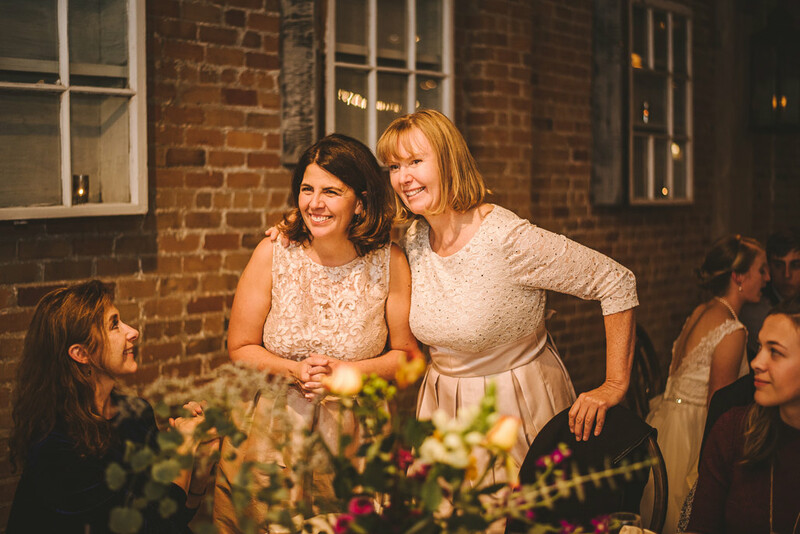 Thanks to the staff at both wedding locations. 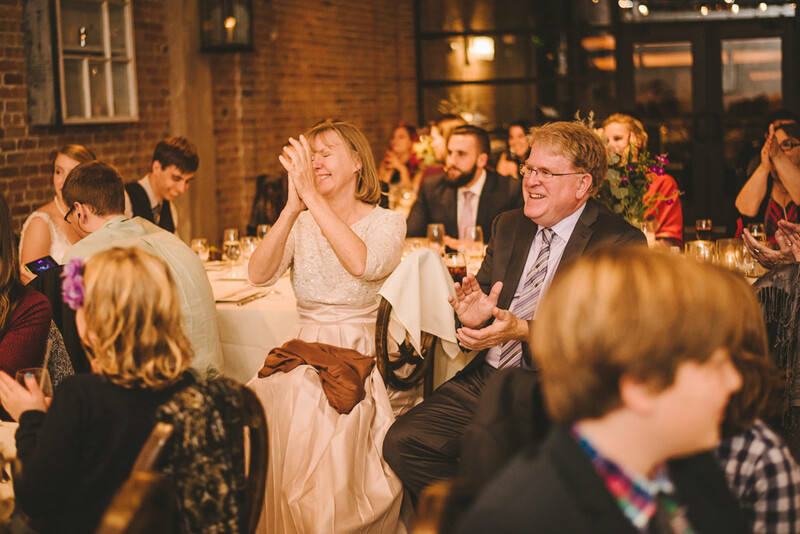 And compliments to the chef at The Venue for the delicious food!